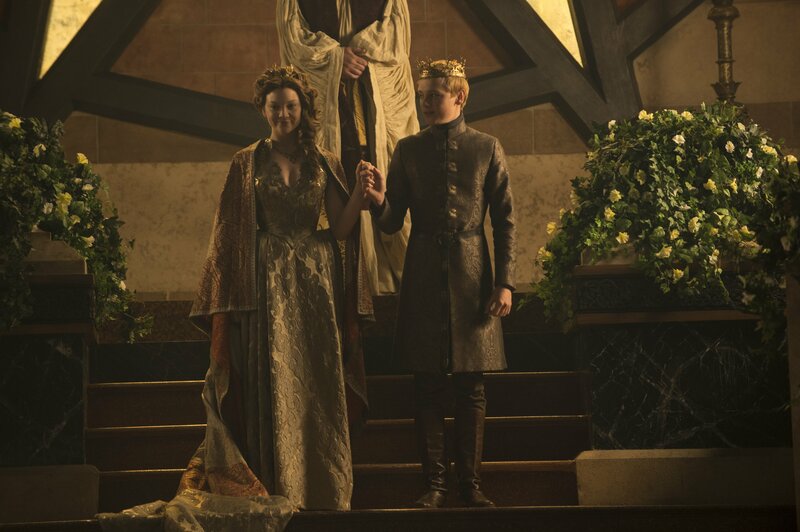 Margaery Tyrell and Tommen Baratheon Season 5. . HD Wallpaper and background images in the Margaery Tyrell club tagged: photo game of thrones got tv show season 5 queen king tommen baratheon margaery tyrell highgarden kingslanding natalie dormer. This Margaery Tyrell photo might contain jalan, tempat kejadian bandar, tetapan bandar, menetapkan, bandar tempat kejadian jalan perbandaran, and bandar.